The Penthouse apartment provides a unique open plan living space, similar to that of an industrial style city apartment. Exposed copper sprinkler systems, rolled-steel joists and warm pendant bulb lighting wrap you in a dynamic environment. The large roof lights fixed on the north and south sides of the building envelop natural light through the entire apartment. The bedrooms however are fitted with blackout blinds to ensure you are not disturbed from an early morning sunrise. 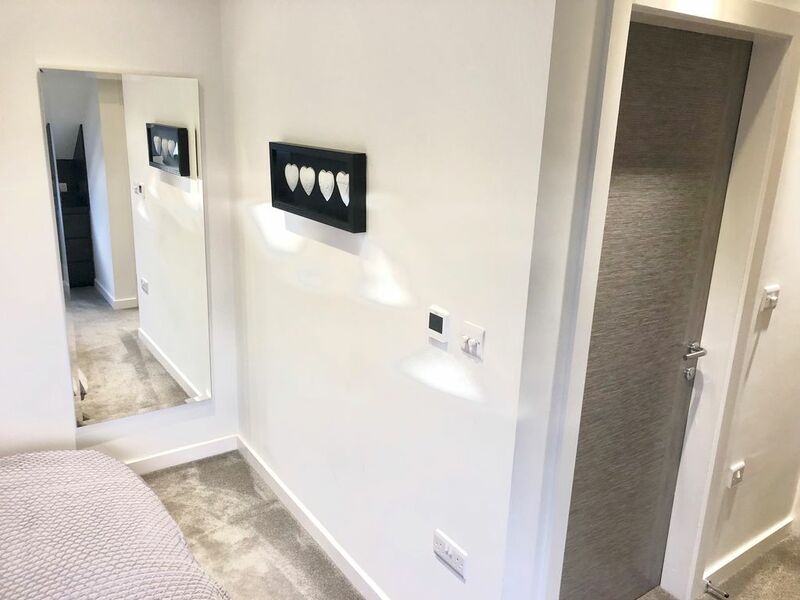 Guests also enjoy premier modern amenities such as high speed Internet, 55” flat screen TV, Freeview/Netflix, underfloor heating throughout, en suites with bathing or showering facilities, Hugo Boss towels and most importantly comfy beds and premium cotton bedding. All our properties have 1 allocated parking space. Please note: we are exclusive accommodation for holidaymakers looking for a peaceful, rural stay, so we do ask you respect the properties and other guests who are looking for a relaxing vacation. If these terms are not met, then your booking will be cancelled and you may be asked to leave if necessary.